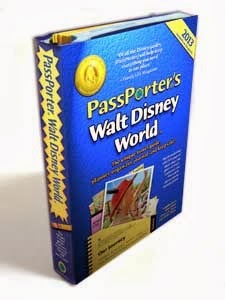 As I mentioned, the Passporter's Guide to Walt Disney World was VERY useful for our most recent trip. It's a pretty cool and useful book. It's spiral bound so flipping pages super easy. It has a nice sturdy cover that has flaps to tuck into the book to protect it, and an elastic band to keep it closed. It also features "PassPockets" to hold all sorts of goodies and space for useful notes. There is just SOOOOO much useful information about the parks, each of the resorts, restaurants and more. Want to know everything about Caribbean Beach Resort? There are 4 pages worth of information! Easily find a standard room layout, a map of the property, tips and even a list of specific rooms to have great views. Want more from PassPorters...join the online community (http://www.passporterboards.com/). I get regular emails about updates on the blog, or the upcoming issue. Even though I am not currently planning a Disney trip, I enjoy being able to keep up to date on all the goings-on at Disney, including the rollout of Magic Bands, Fast Pass Plus, new restaurants, new attractions and more. I feel that I will be extra ready for our next trip, whenever that may be (hoping for the near future). To my friends at PassPorters, I hear the new Walt Disney World 2014 edition is ready, and I would LOVE a free review copy, if possible. And I hope that I can gather my thoughts enough to submit my own tips and tricks to future editions.